Join Maker’s Dozen on Thursday January 24th at the Artisan Collective Market (279 Front Street) in Belleville for an evening of felting fun! We’ll show you exactly how we make our felted animals, and you’ll take one home you’ve made yourself. 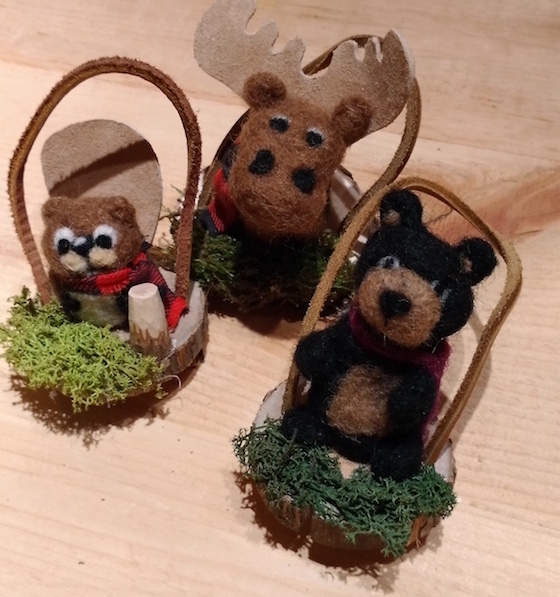 Choose from our beaver, moose or bear patterns for your handcrafted woodland animal. Wool roving used will be from Northumberland-raised sheep! Felting needle, sponge, and roving to complete your project will all be provided. Just bring yourself. No previous needle felting experience is necessary.